The combination shorter barrel along with BCM's proprietary ELW profile and magnesium alloy KMR rail make for a lightweight, agile and all around handy carbine. It's very slick. Moving from a short, fat carbine length MOE handguard on my old carbine to the long and slender KMR stands out as the biggest upgrade. Modernized ergonomics / grip is hugely important, and that was one of the real driving factors behind the upgrade. Now I get to shoot like the cool kids do. The buying experience from BCM was awesome, as expected - fast shipping, got to my door two days ahead of schedule, and the package included the customary pile o' BCM loot, too. Pretty much perfection. 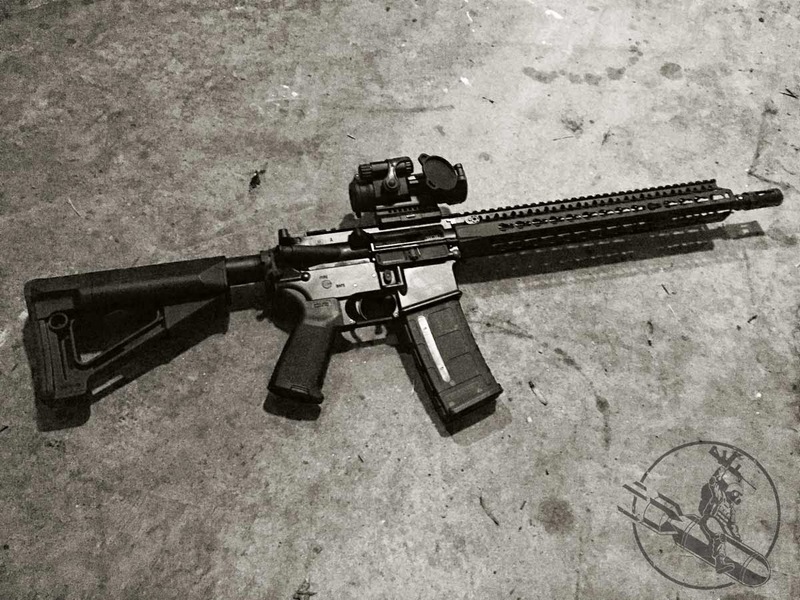 If you're in the market for AR gear, you won't find any who does it better. The carbine is still obviously a work in progress. Back up iron sights (BUIS), light, sling mount and a hand stop will be added. My Aimpoint PRO feels like a pig on this thing, too - an optic change may be in order. The upper destined for another lower, too. I've got no plans to obsess over a particular weight threshold as some folks do, but I do want to retain the balance and handiness of the carbine. I'll check in as things evolve. First range trip / break in / sighting is planned for this weekend. The folks at Lucky Gunner were kind of enough to volunteer a supply of ammo for the cause, which is very cool of them. The ammo shipped wicked fast, too - got from their door to mine in around 24 hours. So - go buy ammo, tell them T-Blog sent you, and hopefully I'll get more free ammo, which will in turn lead to more range trips for me and more gun blogging for you to read. Thus, the circle of ammo will be complete.